SAP Product Support makes sure that the core business processes of our customers run efficiently. We help our customers to reduce the total cost of ownership and maximize the return on investment of their SAP Cloud solutions. As a Cloud Support Engineer, you will enable customers to implement and operate their SAP Cloud solutions efficiently by providing state-of-the-art support services. In support capacity, you will be responsible for the root-cause analysis of product and configuration issues and solving incoming customer problems, which are reported online through CRM System or in direct contact with the customer. This will, at times, involve liaising with development. Utilizing team work, knowledge databases, problem simulation and working remotely on customer systems, we resolve issues while achieving excellent customer satisfaction and maximizing SAP’s value for the customer. 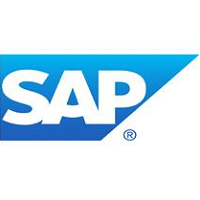 You will be part of a team tasked with developing SAP Support Processes. As such you will need to have an open mind, be very flexible and drive ideas on how to use the latest technology to optimize our customer support. We are looking for energetic and innovative talents to build SAP Cloud Support in China, one of Global support delivery centers. SAP Cloud Support covers all on-demand products from SAP, such as SAP Business ByDesign, SAP C4HANA Sales/Service etc. · Analyze and resolve customer messages by means of knowledge databases and/or verifying customizing entries or hardware parameters. · Provide recommendations for improvement regarding Product and Support process to Development Support. · Provide consulting for customers on procedural issues and queries. · Share knowledge with the team. · Maintain Technical Knowledge Database. · Second year of Master Student candidates, Can meet 4 days full time per week and can last for six months at least. · Sound language skills in both Japanese and English languages. · Excellent interpersonal and communication skills (oral/written). · Good knowledge in computer network, cloud computing and mobile technologies etc. will be a plus. · Good knowledge in Business Application is a plus. · Previous internship or working experience on a customer facing position is a plus.